Rope Tech Story: Is rope access right for my career? Change is not easy. You spend your life working your trade on scaffold and now someone wants you to accomplish your work on ropes. Ropes?? Is that safe? How does that work? Is rope access right for my career? Now you're in a dilemma. Do you trust the foundations you have come to know and leave the "new thing" to the next generation? Or, do you jump on the band wagon? Will it help you excel or hinder you? I wish I could predict the future. Like your dilemma, I'm always pondering whether rope access is a right investment for the future. Operating and owning this rope access business involves a certain amount of risk and uncertainty. Will this be the way of the future or is it just a fad? I've lived a lot of my life in the safe zone but something about this tells me to go for it and see what's in store. What I do know is rope access saves money and who doesn't like that? Some industries may be hesitant to dive deep into using it while others have adopted it as their second child (first child is still scaffold). I don't know where each industry will go or where your industry is gearing towards. But, I believe that rope access can be a benefit. So, I'm going for it! While I leave you to ponder as to which way you will go, here is a little conversation we had with one of our students Candace. Candace is a young, dynamic Vancouver Island girl who came to us as a welder with big goals; mainly, her need to be Rope Access certified to create more opportunity for her work globally in more diverse work spaces. Enjoy! How did you get your start in Rope Access and why? When I originally chose to become a welder, things were booming in Alberta, and I was about to get on a plane to South East Asia for 6 months. I already knew I had a passion for traveling and I knew that welding was an easy job to work a short stint, travel, then come back for more work. Then I found out about Rope Access and it seemed like the perfect way to take my trade around the world with me while working on some incredible worksites! What is the most common question your friends ask you when they want to know more about what you do? Most people where I live have never heard of Rope Access, we don’t have much in the way of buildings over 2 stories tall, or large great bridges. So, when I mention Rope Access, I mostly get blank stares until I explain more detail about it. My friends get really excited for me and then as is usually the case, because it involves rope and work at height, I am always asked about how dangerous it is. To which I answer, 'actually it is the safest way to carry out any work at-height globally, with a low-to-no incident rate. 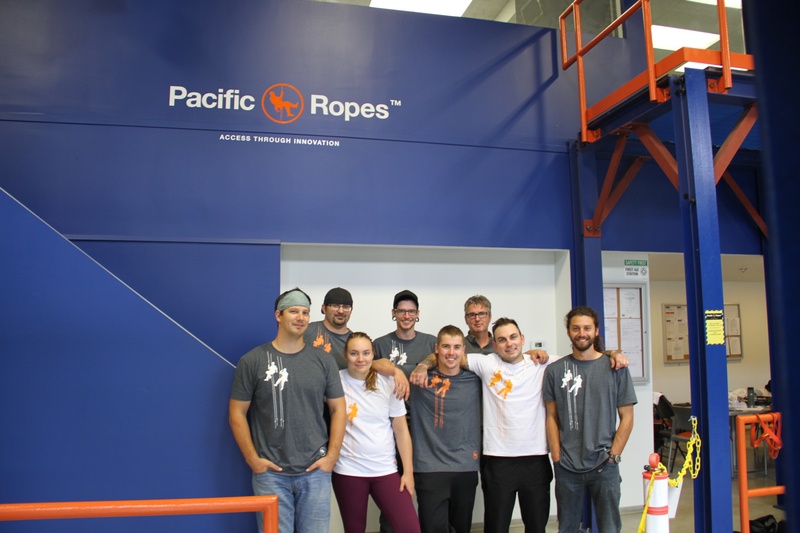 If you had to use one word to describe your Rope Access training with Pacific Ropes for your L1 dual cert, what would it be? Is there anything characteristic of a being a person in your field who is looking to take a trade to height—I mean, heights are not for everyone! ton of onshore RA welding work, so you need to be willing to work hard to get where the work is. What's your favorite part of being on a job site? Biggest piece of advice for someone thinking about getting their Level 1 IRATA or SPRAT? heights, and you need to be able to focus. Where do you see the future of your trade in Rope Access in Canada? I’m not sure how much welding at heights there will be, but I am happy to do someregular welding, and then some non­-related rope work to give my lungs a break. Oh man, the long rebelay.. That takes a lot of focus and a lot of strength. IRATA/SPRAT open up for you? 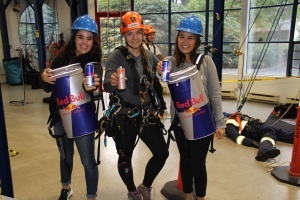 What is the biggest thing you want to tell people about Rope Access training? prior trades or experience, you can clean windows or do building maintenance. What continues to inspire your life as someone who has given their professional lifeto Rope Access? my belt, maybe NDT or wind energy. so, what’s your favorite clean joke? I’m not sure I have any clean ones… Things get pretty haywire with welders! If you're interested in our rope access courses, click the rope guy below!